We are proud to offer our dive mask straps! 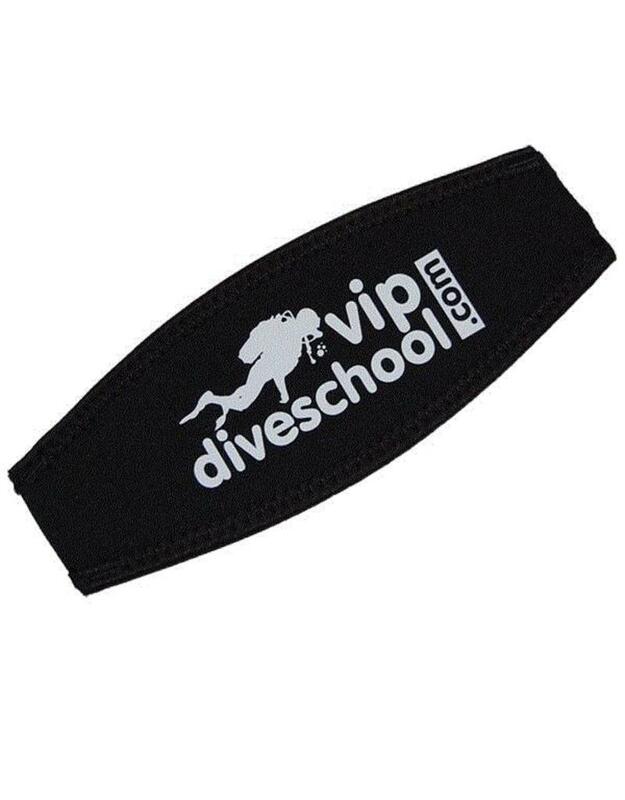 This neoprene mask band, with the logo of our diving school printed, you just slide around the plastic strap of your mask, so you have much less chance of knots in your hair, and besides it is super cool! Also very useful when you go on a diving holiday as an adult, and you want to quickly find your mask / dive mask between all the diving equipment on board, it also increases your recognisability for your dive buddy, above and below water!